Every person at our business has a responsibility for safety and for looking out for their mates. During our annual Safety Day we talk about how we can prevent accidents from happening in our workplace and the actions we can take individually or as a team to prevent injuries. 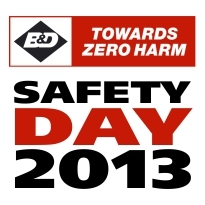 Safety must become a part of everything we do, whether at work or at home.